When asked to name one of Canada’s fundamental democratic institutions, how many people would immediately say “Library and Archives Canada”? Yet, a nation’s archives preserves in perpetuity the evidence of how we are governed. From the story of Japanese Canadian Redress, we can learn how records held by Library and Archives Canada (LAC)—combined with crucial citizen activism making use of these records—have contributed to holding the federal government accountable for now universally condemned actions. When the Second World War ended, devastated survivors buried their trauma out of necessity in order to focus on rebuilding their lives. 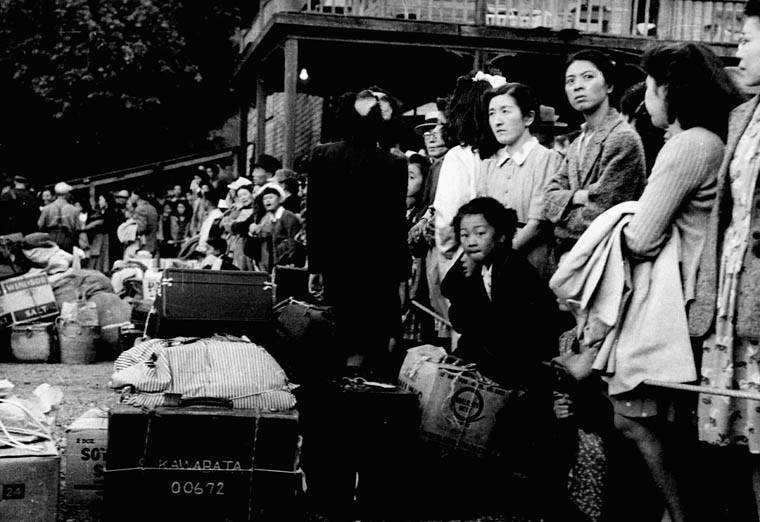 Silence enveloped the Japanese Canadian community. However, in the late 1970s and early 80s, at small, private, social gatherings where survivors felt safe to share their wartime experiences, a grassroots redress movement was born. 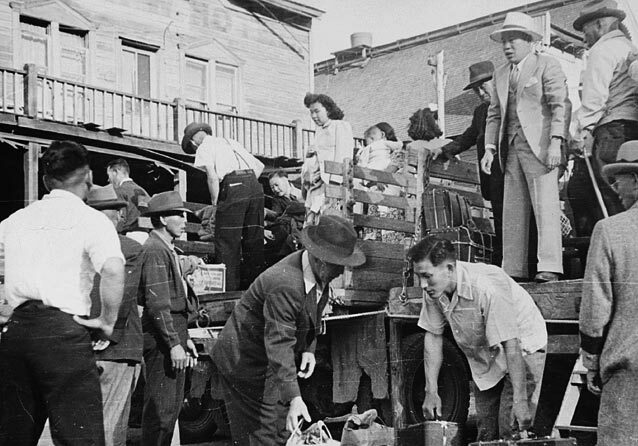 The Redress Agreement states that between 1941 and 1949, “Canadians of Japanese ancestry, the majority of whom were citizens, suffered unprecedented actions taken by the Government of Canada against their community.” These actions were disenfranchisement, detention in internment camps, confiscation and sale of private and community property, deportation, and restriction of movement, which continued until 1949. These actions were taken by the Government of Canada, influenced by discriminatory attitudes against an entire community based solely on the racial origin of its members. In 1981, Ann Gomer Sunahara researched newly declassified Government of Canada records made accessible by the then Public Archives of Canada. 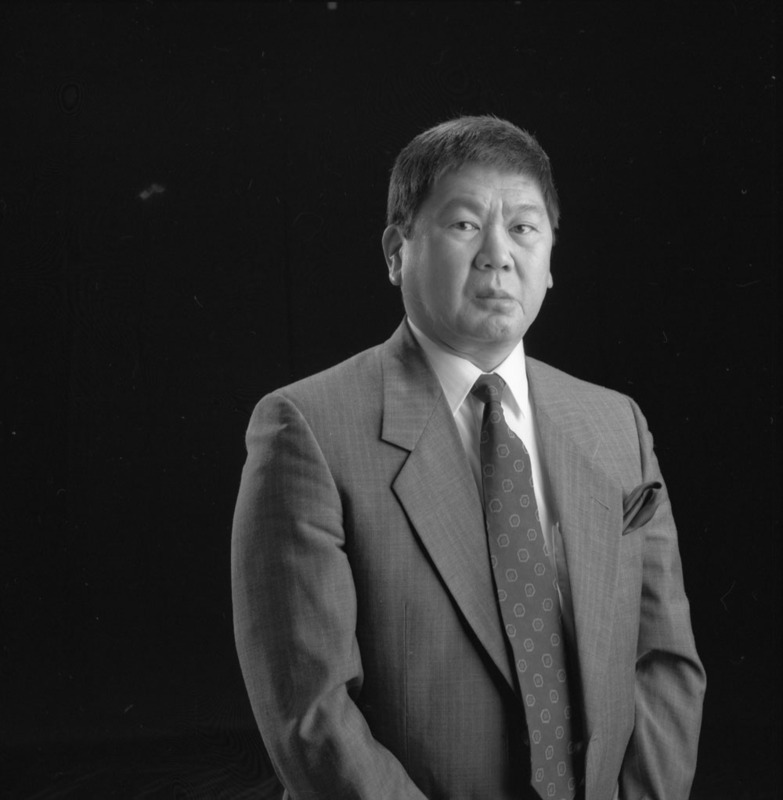 Sunahara’s book The Politics of Racism documented the virtually unquestioned, destructive decision-making with respect to the Japanese Canadian community of Prime Minister Mackenzie King, his Cabinet, and certain influential civil servants. 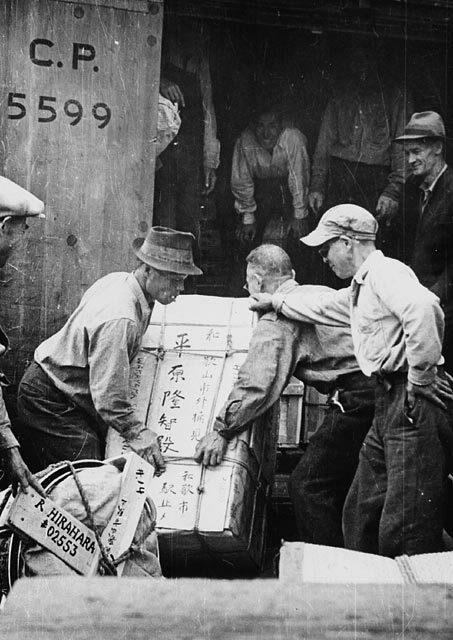 The National Association of Japanese Canadians (NAJC), which came to represent the views of the community concerning redress, astutely recognized the critical importance of having access to government documents of the 1940s, which could serve as primary evidence of government wrongdoing. 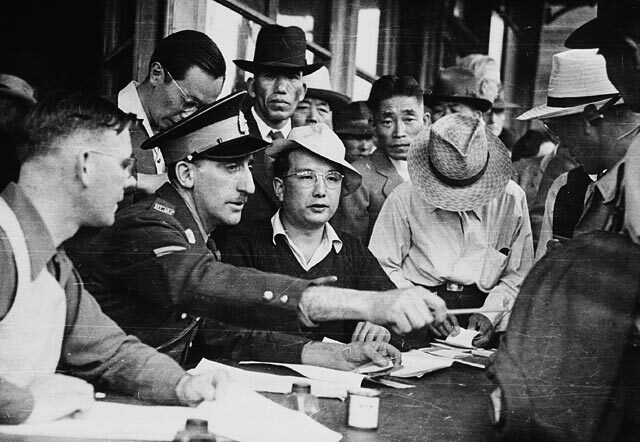 In 1942, all Japanese Canadians over the age of 15 were forced by the government to declare their financial assets to a representative from the federal Office of the Custodian of Enemy Property. Custodian “JP” forms containing a detailed listing of internee property formed the nucleus of 17,135 Japanese Canadian case files. 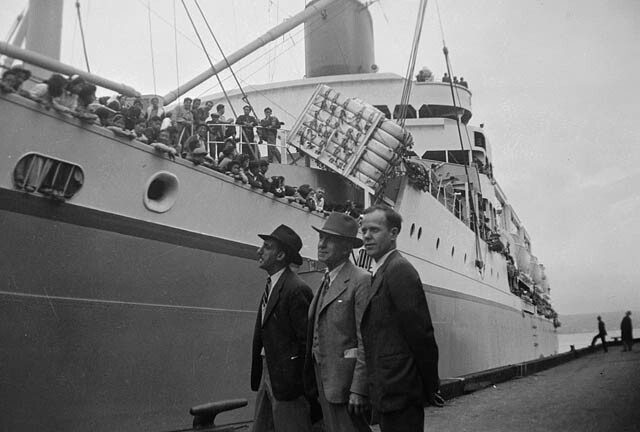 To further negotiations with the Canadian government to obtain an agreement, the NAJC needed a credible, verifiable estimate of the economic losses suffered by the Japanese Canadians. 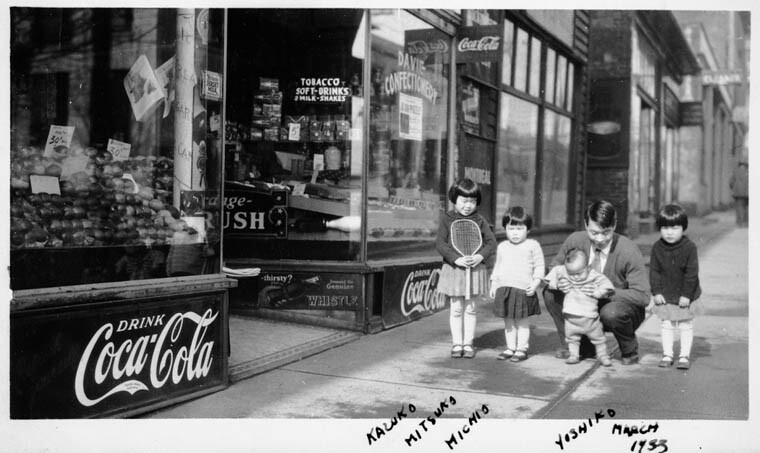 On May 16, 1985, the NAJC announced that the accounting firm Price Waterhouse had agreed to undertake such a study, which would culminate in the publication of Economic Losses of Japanese Canadians after 1941: a study. In the final sampling, 1,482 case files were reviewed. It was grueling, painstaking work. Some researchers were unable to continue because of nausea and eyestrain induced by hours spent pouring over microform images, some of very poor quality. A superlative example of citizen activism is the dedication of Ottawa researchers Akira Watanabe, Chairman of the Ottawa Redress Committee, and his wife Molly. With several hundred files still unsampled, dwindling numbers of researchers and only four weeks remaining to do the work, the Watanabes went to Public Archives Canada after work for twenty evenings. Molly Watanabe died in 2007. On May 8, 1986, the study was released to the public. Price Waterhouse estimated economic losses for the Japanese Canadian community at $443 million (in 1986 dollars). Documents sitting in a cardboard box on a shelf, or microfilm sitting in cannister drawers, cannot protect human rights—people do. 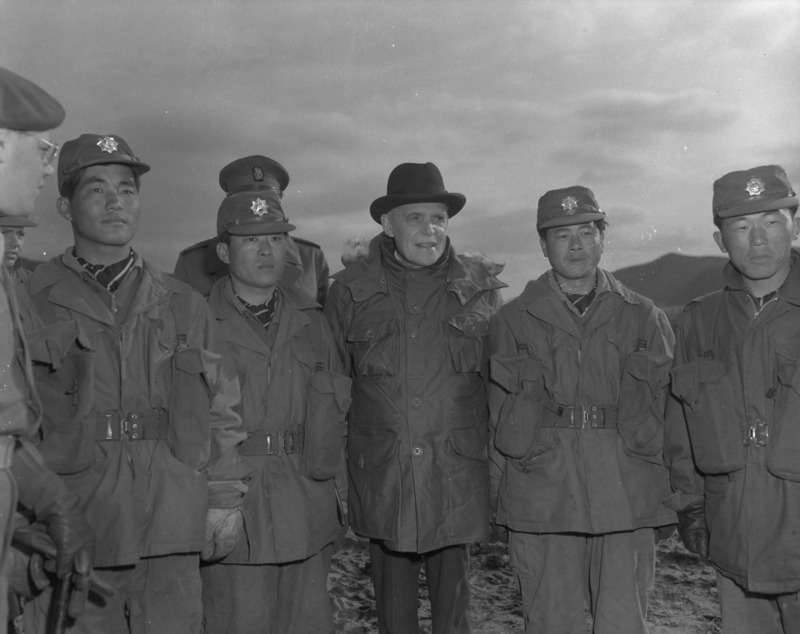 Japanese Canadian Redress showed Canadians that it takes dedicated activism to locate and use archival records. 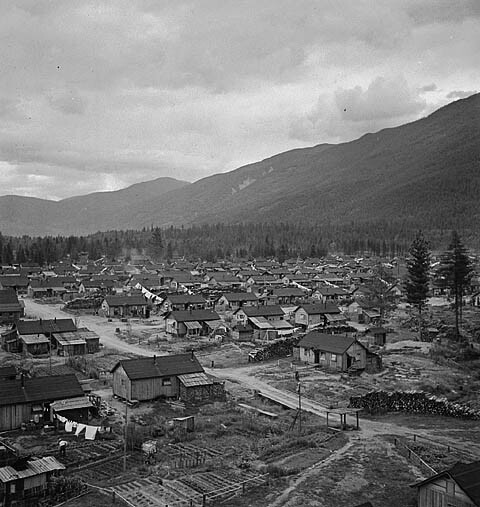 Archival government and private records from the 1940s preserved by LAC and used by citizen activists were critical in building the Japanese Canadian case for Redress. By preserving the records that hold our government accountable in the face of injustice, LAC continues to be one of our country’s key fundamental democratic institutions. R.L. Gabrielle Nishiguchi is an archivist in the Society, Employment, Indigenous and Governmental Affairs Section, Government Archives Division, at Library and Archives Canada. July 25, 2018, marked 45 years since the death of Louis St-Laurent, the 12th prime minister of Canada (1948–1957) and a very active participant on the international scene. Louis St-Laurent was born on February 1, 1882, in the small village of Compton, Quebec, where he was raised by parents Jean-Baptiste Moïse St-Laurent and Mary Ann Broderick. During his youth, he was introduced to politics by his father, who ran unsuccessfully as a provincial Liberal candidate. However, Louis St-Laurent had little interest in politics and instead concentrated on law. In 1905, he completed his studies at Université Laval and began a prestigious law career, which he pursued until 1941. 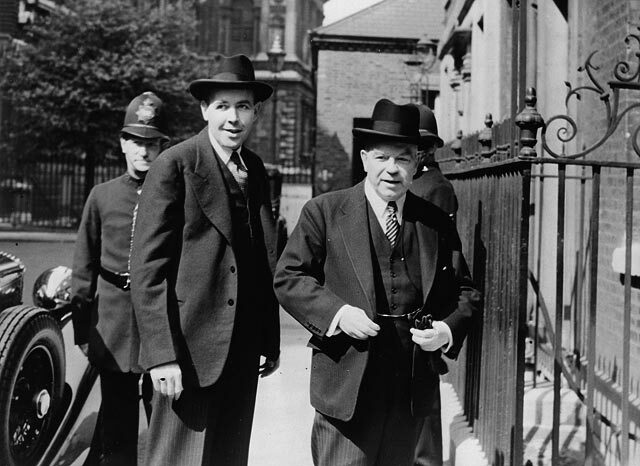 That year, at the request of Canadian Prime Minister Mackenzie King, Louis St-Laurent agreed to leave his lucrative career to become the Minister of Justice in the Liberal federal government. 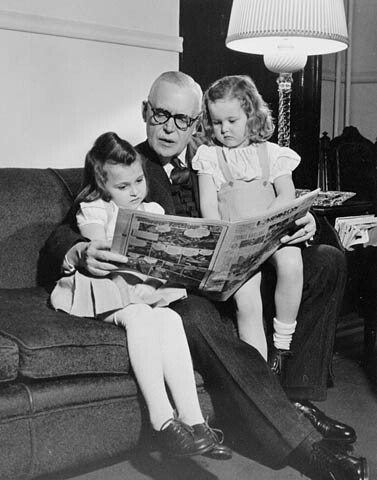 He helped develop several policies to support the war effort during the Second World War. St-Laurent played a crucial role in implementing the National Resources Mobilization Act, which brought about conscription to address the Canadian Army’s need for personnel. In 1946, St-Laurent became the Minister of External Affairs. One of his highlights in this capacity was a speech to students and professors at the University of Toronto entitled “The Foundations of Canadian Policy in World Affairs.” The speech was not revolutionary, but it was the first to clearly articulate Canada’s international policies. Two years later, St-Laurent succeeded Prime Minister Mackenzie King as the country’s leader. He owed his success in part to a change in his image: from a discreet lawyer to an approachable man who was close to the Canadian people. During this time, he acquired the nickname of “Uncle Louis” in the English-language media. While in power, St-Laurent worked to make Canada a key player in the international arena. In particular, he supported the United Nations in sending forces to intervene in Korea. It was also during his administration that the Blue Berets were created as peacekeepers to resolve the political crisis over the Suez Canal. St-Laurent called on international institutions when they could support his initiatives. Although his decisions on foreign policy sometimes appeared to be based on a humanitarian vision, they actually stemmed from a pragmatic approach. Canada benefited both economically and politically from a more stable world, one that was able to purchase surpluses produced by Canada. St-Laurent was also passionate about Canadian unity. It was during his time in office that Newfoundland (now Newfoundland and Labrador) joined Confederation. He also sought to reduce the tensions between English‑speaking and French‑speaking communities that had followed conscription. When he was 75 and exhausted, St-Laurent lost the 1957 election to the Progressive Conservative John Diefenbaker. St-Laurent’s legacy to Canadians was a nation able to meet the challenges of the Cold War. He retired from politics but resumed his law career and died in 1973. You can learn more about Louis St-Laurent by consulting the fonds with his name at Library and Archives Canada. Bothwell, Robert. “Louis Stephen St-Laurent” in Réal Bélanger and Ramsay Cook (eds. ), Canada’s Prime Ministers: Macdonald to Trudeau. Toronto: University of Toronto Press, 2007, pp. 329–354. Mackenzie, Hector (2007). “Shades of Gray? ‘The Foundations of Canadian Policy in World Affairs’ in Context,” Taylor & Francis Group, American Review of Canadian Studies, Vol. 37, No. 4, pp. 459–473. Louis St. Laurent Fonds (1947), MG 26 L 253, Gray Memorial Lecture University of Toronto, “The Foundations of Canadian Policy in World Affairs,” Toronto. Finding aid. Bruno Sauvagnat is a student archivist in the Science and Governance Private Archives Division at Library and Archives Canada. 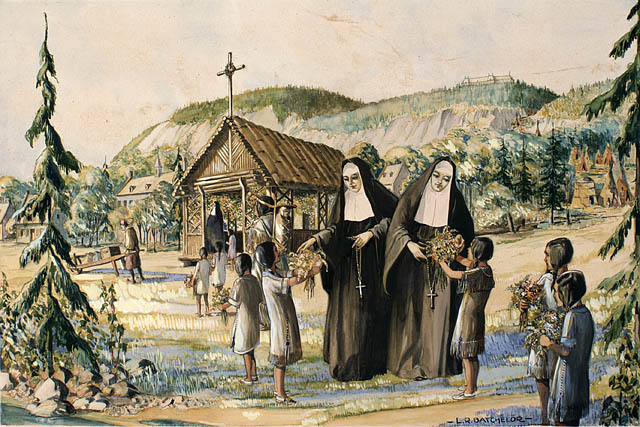 Quebec City is celebrating a number of significant anniversaries in 2014, including the 350th anniversary of the founding of the parish of Notre-Dame de Québec, and the 375th anniversary of the arrival of the Ursuline Sisters—pioneers in education in Quebec — and the Augustinian Sisters. The Company of St. Ursula was founded by Angela Merici in 1535, at Brescia, Italy, to promote Christian values within the family, society and the Church. After the Council of Trent, the Company was restructured to become a cloistered order, devoted primarily to educating young girls. Ursuline convents soon sprang up across Europe, in particular throughout France. In 1639, Madame de La Peltrie financed the founding of a convent and the first school for girls in New France. She left France aboard the St. Joseph with three nuns from the Ursuline convent at Tours: Marie (Guyart) de l’Incarnation, who was canonized by Pope Francis in 2014, Marie de Saint-Joseph and Cécile de Sainte-Croix. They, along with a group of Augustinian nuns, endured an arduous crossing that took three months. The first Ursuline school, established in Quebec City’s Lower Town, received about 18 French and Amerindian boarders. Like their Augustinian counterparts, the Ursuline Sisters moved to the Upper Town in 1642, to a site their order still occupies today. The Ursulines provided accommodation for the Filles du Roi when they first landed in Quebec City, as well as for English captives in the early 18th century. One of those captives was Esther Wheelwright, who would eventually become the community’s superior. From Quebec City, the Ursulines expanded to found convents and schools around Quebec and New Brunswick, as well as in Japan and Peru. Library and Archives Canada has a number historical documents on the Ursuline community, mainly in the Fonds de la Congrégation de Sainte-Ursule and the Marie de l’Incarnation Fonds. You can also do an archives search to find other documents or images. For a definitive history of the Ursulines (in French only), we recommend Les Ursulines de Québec 1639–1953, by Dom Guy-Marie Oury.